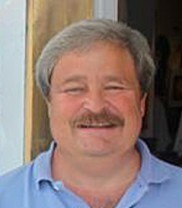 Koz is both an artist and co-owner of the Gallery. Through his art, Koz takes us on a whimsical adventure under the sea and to tropical paradises. His canvases explode with vibrant colors as he portrays fish, sea horses, crabs, mermaids, reef life and palm trees. He is recognized by the “fun” that he creates in his art and the “smiles” that he brings to those that view it. 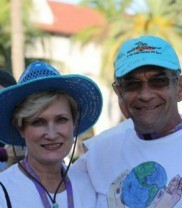 Pamela and Koz live in Key West, Florida and Ortonville, Michigan. Danny grew up with Koz in Ortonville, Michigan. Danny was a real estate investor and machine designer, doing work for the big three automotive companies for 30 years. Danny and his lovely wife, Noelle Rose, stepped off a cruise ship in Key West back in February 2000. They both immediately fell in love with the island. 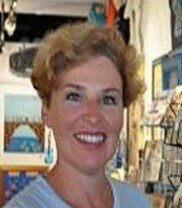 They purchased a home on Big Pine Key in 2003 and joined Green World Gallery in 2009. Now they live and work in paradise. Noelle’s love for palm trees, bright blue skies, bright sunshine and aqua oceans, brought her to the Keys on vacation. She immediately knew that she wanted to live there. 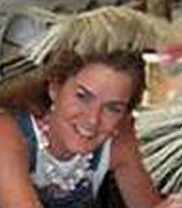 Noelle is a self taught artist whose whimsical palm trees and rugs reflect the charm of the Caribbean. These beautiful trees and rugs are hand made using recycled coffee bean bags from various islands of the West Indies. Noelle is responsible for the beautiful and fun Koz’s Green World Gallery window. 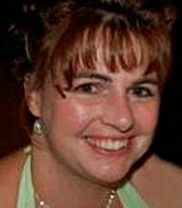 Mitzi was raised in Ortonville, MI where she lives with her husband and two children. She enjoys art and photography. She maintains our computer systems and divides her time between our HQ office in Michigan and the gallery. 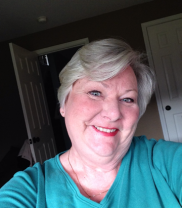 Marie resides in Ortonville, Michigan with her totally awesome (we all agree!) husband of forty years. She is a very talented artist and enjoys tole and decorative painting, quilting, knitting, crochet and other forms of needlework. Look for Marie’s work in Koz’s Green World Gallery. With her background in office management, she runs our Michigan office. Laurie and her husband, TropRock Music Association award winner, Captain Josh, live on Big Pine Key. When Laurie is not working at the gallery, you can frequently find her performing at local venues with Captain Josh.